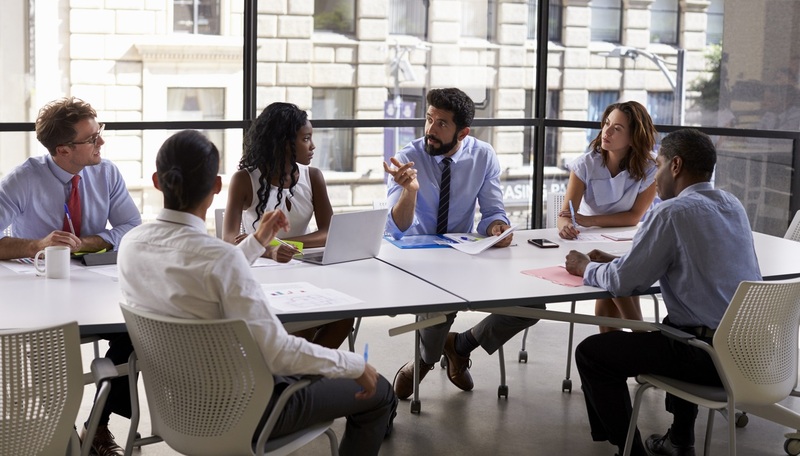 Communication and collaboration can be vital contributors to success for businesses, particularly smaller firms that need fresh ideas in order to innovate and stay competitive. Recent research has suggested that many employees don’t feel entirely comfortable expressing themselves in the workplace, so should companies be taking action to address this issue? Should employees be expressing themselves more? According to a recent survey by online jobs board CV-Library, 90 per cent of British workers feel that people should be able to express themselves at work, but many have concerns about the impact this could have on their career. Nearly two-thirds (65 per cent) of respondents felt it was more acceptable for senior members of staff to be themselves in the workplace. Openly discussing your own shortcomings was the most common example of ‘being yourself’, cited by more than a quarter (26 per cent) of the 1,100 workers surveyed. It was followed by being open about what is happening in your private life (24 per cent) and behaving as you would with friends (21 per cent). Four out of ten employees (41 per cent) said company culture plays a big part in dictating whether people feel at ease at work. Nearly a third (31 per cent) said their behaviour is led by how their colleagues conduct themselves, while 23 per cent said they would feel more comfortable about opening up if their manager showed the same attitude. This all begs the question: should employers be encouraging staff to be more open? A more relaxed, communicative environment could give rise to new ideas, a positive atmosphere and consequently greater productivity, but there is also a risk of freedom and openness crossing a line and becoming unprofessional. Lee Biggins, founder and managing director of CV-Library, said: “No one should ever feel the need to censor themselves, but it is important that people adopt a professional manner while at work. Holding open meetings where there is no designated leader, but everyone is invited to talk, express themselves and put forward ideas, without any fear of judgement. Discouraging emails, instant messages and other electronic communications between people who are in close proximity. Encourage people to get out of their seats, walk around the office and talk to their colleagues in person. Managers having regular one-on-one meetings with individuals to build relationships and provide a platform for staff to express their opinions. Making sure that senior figures are setting a good example by being open and communicative. This could involve something as simple as senior managers leaving their office door open as much as possible. Respecting people’s differences, and understanding that some employees might not feel as comfortable expressing themselves as others. Take a relaxed approach and don’t force people into behaving in a way they don’t feel comfortable with in the workplace.